CRM Wish List- I’ve been writing a forecast column every year at least since W was president. Nothing’s wrong with that, lots of people do. However, I often find that my forecast is more of a wish list than a true prognostication, so this time I’ll dispense with the fiction of analytical rigor and just say what I think needs to happen. First, the industry is consolidating. The big and successful companies are competing on a different plane than the smaller ones. The smaller guys are working harder than ever, and some are realizing they need niches — that they’re not going to be able to cover the whole customer relationship management landscape. This is mostly a good thing, because it clarifies the mission and lowers the costs of being in the market. It also can mean better and more verticalized software. But there are two basic kinds of these companies — those that have credible platforms and those that don’t. Among those that do I’d list several, including Oracle, Salesforce and Zoho. Oracle and Salesforce should not surprise but Zoho might. It has spent decades building a global solution and platform. There is only some overlap, with Salesforce attacking the really big enterprises and offering a huge ecosystem, but Zoho is a powerful solution for the small to mid-enterprise. It also has a good ecosystem. One of the big differentiators is how much enterprise resource planning functionality you’re likely to need and where you plan to get it. Salesforce integrates well and has ERP partners like Financial Force, but Zoho offers good back office apps as a part of its service, as well as having that ecosystem. Another vendor in the mix is NetSuite, which has been setting sales records since Oracle bought and significantly invested in it. NetSuite’s idea of CRM is e-commerce, though, so customers will self-select. On the flip side, there are smallish vendors still working on their own platforms, and whose development teams are measured in the hundreds. In contrast, the market leaders have thousands of developers, which is why it’s time for the smaller vendors to find a niche and try to excel. With that comes a decision point about their platforms. We’ve had years of artificial intelligence and social media, and even years of integration. I think it’s time for a year of integration on major pharmaceuticals. We need better networking, and this needs to be led by the biggest names. A consortium including Microsoft, SAP and Adobe announced the Open Data Initiative (ODI) last year, but I still think it is too little. Its major purpose is aimed more at slowing the advances of Oracle and Salesforce. Oracle’s autonomous database and enhanced security present a major challenge to other database vendors. Salesforce has been drafting behind the Oracle relational database management system on this one and has that advantage. 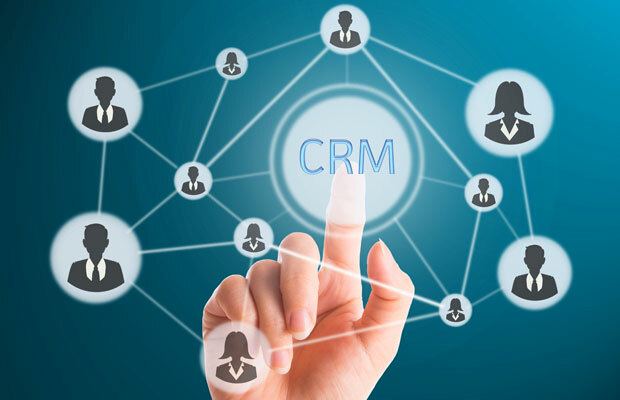 The ODI focuses on building a common CRM data model. That sounds good, but it has too many moving parts — as in potentially every vendor in the industry. Smarter people have said the better approach to making everything talk is to facilitate the communication at the application programming interface level. I agree. No surprise, some of the vendors conspicuously left off the Microsoft, SAP, Adobe invitation list have been pursuing the API approach, like Salesforce, and I think 2019 will be a banner year for more API-centric networking. We need that approach too, not just in CRM but throughout the tech world, as we continue to build what will be a true information utility in the not-too-distant future. Is It Time To Consider Buying salesforce.com, inc. (NYSE:CRM)?